Aalborg is a primary manufacturer of precision instrumentation for flow measurement and control. They design and manufacture a full line of flowmeters and needle valve, state of the art thermal mass flowmeters, mass flow controllers for gases and electromagnetic flow controllers for liquids and gases. Aalborg Boilers and Steam Generators provide the speed, accuracy and flexibility for precise demanding applications. Aalborg manufactures a range of Boilers and Steam Generators that offer different functions and capabilities. 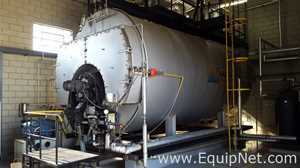 EquipNet carries a variety of used Aalborg equipment.